DefenderShield makes a full line of EMF protection products, from laptop shields to cell phone, cases and much more. They are extremely popular products so I wanted to take a deep look at the company and at the products themselves. First I want to walk you through an overview of the company and their mission, then we’ll look at the various products and what I think of them, then we’ll dive into what research they have backing their claims. Full disclosure, I own the DefenderPad, and one of the cell phone cases. So my reviews of the other products are based on tons of research and reading through hundreds of reviews. 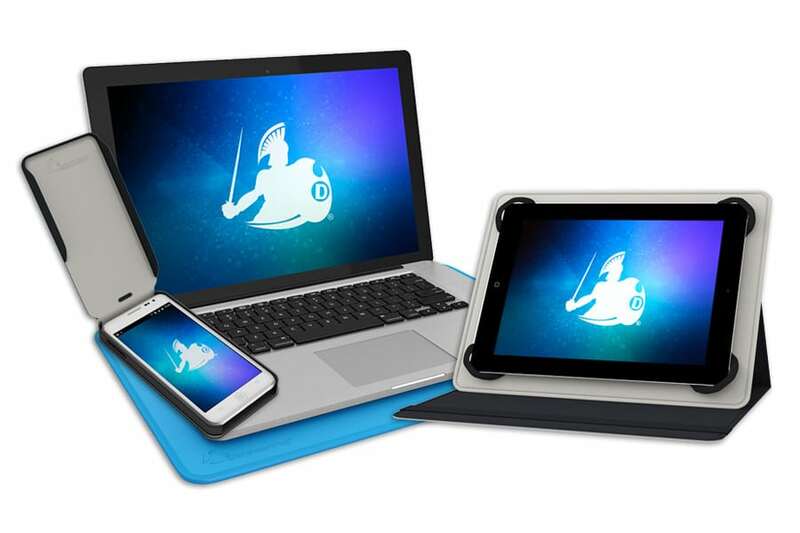 DefenderShield has developed an entire line of patent pending portable devices for all sorts of devices such as laptop shields, cell phone covers and much more. Each DefenderShield product is meant to block or dramatically reduce EMF radiation and keep the body safe. They use several different technologies for this that we’ll talk about down below. All of their products were tested in FCC-certified laboratories (see the testing results here) and protect the body from 99% of EMF radiation or more. Luckily, they almost make pretty sleek and attractive products, many of which you wouldn’t even really know were meant to be EMF radiation protection products. If you’ve ever just looked at these types of products on Amazon, you’d know that although there are some other great products out there, many are bulky and unattractive and constantly invite people to ask what they are. I have the DefenderShield laptop shield, (which is actually under my laptop as I’m typing this) as well as an iPhone 7 wallet case, and absolutely love both products. Now let’s talk a little bit about how DefenderShield came about as a company, then we’ll take a look at all the products. How Did DefenderShield Come About? 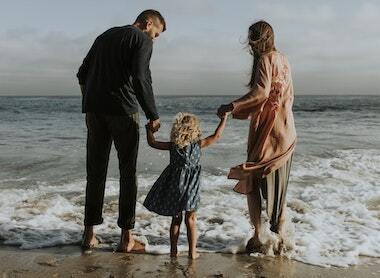 The company was founded by a gentleman named Daniel DeBaun, who as the story goes, noticed that his children were working away on projects on their laptops, and his wife felt concerned. She was concerned over what that heat and radiation might be doing to there bodies, and how it might affect their health and fertility. Daniel from his engineering background knew she was probably right, that any electronic device like a laptop would emit EMF radiation and that could potentially be harmful. So Daniel set out researching the topic himself and confirmed his assumption that EMF radiation is certainly harmful and that if you really want to protect yourself you need some sort of shield for this radiation. Unfortunately, he couldn’t find anything on the market that truly blocked the radiation, the best he could find was a weak product that mentioned it would block around 75% of this radiation (attenuate the company should have said). So seeing a hole in the marketplace, and wanting something that would keep his family safe, Daniel developed the DefenderShield Laptop Radiation & Heat Shield to protect his family. Since that product was created, DefenderShield as a company has developed dozens of more products and has had them all independently tested and verified to work. Now let’s take a look at some of the products DefenderShield has to offer. This is one of the DefenderShield products I have, and that my wife and I use all the time (we should really get a second one because we’re always passing it back and forth). When it comes to EMF radiation protection, there are a ton of products out there, but this is one that just makes complete sense. Laptops give off an enormous amount of heat and EMF radiation, and having that be absorbed right into your lap has been proven to be extremely harmful (read my full post on that here). 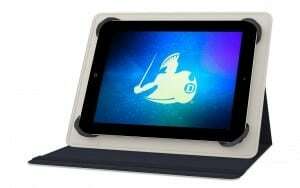 So How Does The DefenderShield Laptop Shield Work? So according to the company, the DefenderPad as they call it, is the only laptop pad that uses multiple layers of shielding material to block nearly 100% of EMF radiation, as well as absorbing and reducing the heat from the laptop. It will block EMF radiation from all sources coming from the laptop including WiFI, Bluetooth, and any other components emitting radiation. The outer layer is a really grippy rubber that I absolutely love because the laptop doesn’t slip around at all, even when I’m setting both the DefenderPad and the laptop down for a minute, I don’t have to worry about it slipping off. The DefenderPad, like all of their products, was tested and proven to work in an FCC certified lab. Also like the rest of their products, the laptop shield is made in the united states and they offer a 30-day return policy on their products. Will The DefenderPad Fit My Laptop? So the dimensions of the pad are 15.9 x 0.2 x 11 and it is designed to fit any laptop up to 17 inches, which is just about every laptop out there. 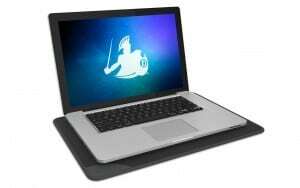 Is the DefenderShield Laptop Shield Worth Buying? Out of all the DefenderShield products, this one is probably my absolute favorite. I’ve had one for a while, and like I said my wife and I use it constantly, not only because it protects us, but because it’s actually a really nice comfortable surface to have my laptop on. 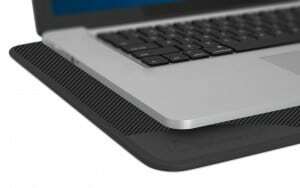 I have a 15-inch MacBook Pro, and it is extremely sleek and slippery, so without a pad like this, it would have a tendency to slide off my lap when I’m working. 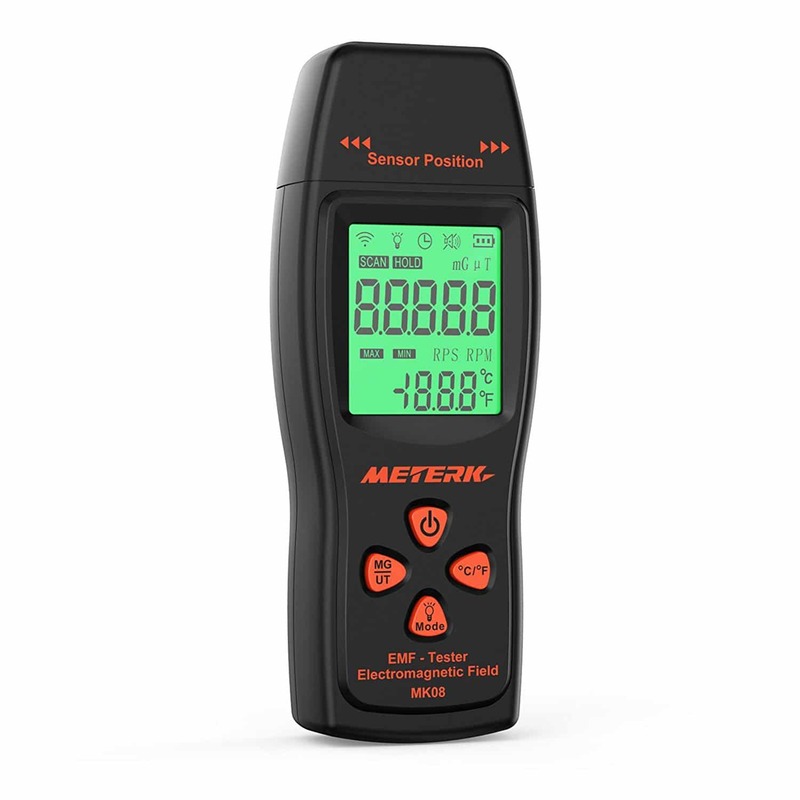 I also love simple EMF protection products like this one, where I can literally see it working with any of the EMF meters I have and know that it is helping. If you’re interested in buying one, you can pick them up from the website right here. See all the available cell phone cases here. This is another DefenderShield product that I have had for a while and really enjoyed. I have the iPhone 7 wallet case and so does my wife. The thing I like about the DefenderShield Cell phone case is that unlike a lot of the cell phone protection products out there that are just a sticker, or patch of some kind, this is a case that I can actually test and see that it is working. They have cell phone cases for nearly any smartphone, and for all the different iPhones and popular Android phones. For most of them, they have an option that is just a fully enclosed case, or like the one I have, a wallet case. How Do The DefenderShield Cell Phone Cases Work? So, like the DefenderPad, the cell phone cases block nearly 100% of all the EMF radiation coming from the cell phone, without affecting the signal quality whatsoever. You can see the testing results here to read the full report on exactly how these products were tested and proven to work or scroll to the bottom of these reviews for a bit more information on that. 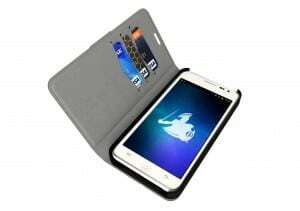 The benefit of the wallet cases is that they also provide RFID blocking, which will protect your credit cards and IDs from financial and identity theft. Beyond their EMF protection and RFID blocking, the DefenderShield cell phone cases are actually really nicely made leather cases that do a pretty darn good job protecting your phone. I’ve personally had a great experience with the DefenderShield products, including the cell phone wallet case I have, which is what inspired me to write this review. But for the sake of fairness, I read through a bunch of reviews online and found a few things that I felt like people were running into on occasion. First, on the wallet cases, there is a magnet to help keep the case closed, which has worked for me, but a few people reported that the magnet had slid up the case and was no longer closing well. This shouldn’t be a large issue, as I know that manufacturer would be more than happy to return or replace the case if this was happening. Second, and I’m not sure how this would be happening, but more than one person said that their phone, even with the case closed, would occasionally dial people accidentally. Again, this was an outlier but thought I would still mention it. Where Can I Buy The DefenderShield Cell Phone Case? You can see their entire line of cases right here. I won’t dive into this one too much, as it is not too much different from the cell phone cases. This isn’t a product I own, but I do think it is a really smart product. I can see the DefenderShield tablet case being sort of a must purchase if you have kids that are using a tablet often. The amount of cumulative radiation a case like this would prevent is massive. After reading through quite a few reviews online, people’s overall reactions were really positive. A few people with electromagnetic hypersensitivity (EHS) said that they were finally able to actually use their tablets. They have two different sizes, a 7-8 inch and a 9-10 inch. These will fit most tablets, but I would check the dimensions to make sure. I know that the smaller size nicely fits an iPad mini, and the larger size will nicely fit a normal iPad, other than that I would just check out the listing. Again, I do not own this product, so I’m just writing what I see as collective issues based on the many reviews I read. It seems that the largest complaint is in the elastic corner bindings that hold the tablet. Since the DefenderShield tablet pad is meant to fit many different devices, which is nice, there is the issue that occasionally the elastic bands get in the way of some of the buttons. People also mentioned that depending on the size of the devices, there was a tendency for the tablet to pop out of the bindings on occasion. If you’ve read my post on wireless headphones or my post on the dangers of Bluetooth technology, you’ll know that getting a pair of Airtube headphones can dramatically reduce your exposure to EMF radiation. 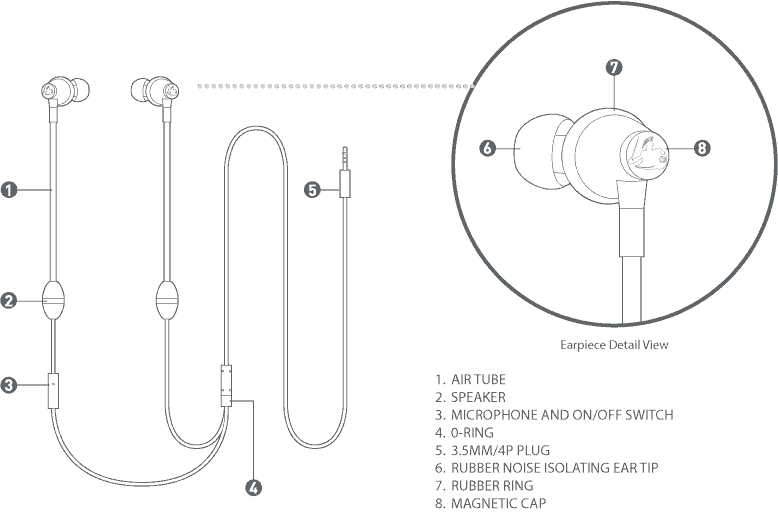 Basically how air tube headphones work, is that the speaker is either at the base of the headphones, or in the case of these DefenderShield headphones, it’s somewhere in the middle, and the speaker sends the sounds up a tube and into your ear. This is far preferable to having the speaker emitting radiation right into your ear. 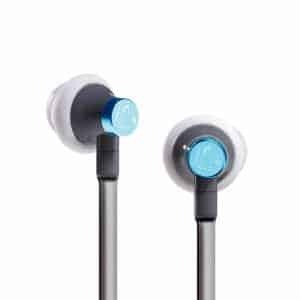 Do The DefenderShield Airtube Headphones Have Good Sound Quality? I do not own a pair of these headphones, but from all the reviews I’ve read, it seems that both the headphone quality and speaker quality are quite good. I would not expect they are better than a quality pair of normal headphones when it comes to sound, but they will be comparable with almost no EMF radiation. This is certainly worth the trade-off in my opinion at least. Are These Headphones Worth Buying? I think they probably are, but they are not the only air tube headphones on the market. The reviews for the DefenderShield Airtube headphones are pretty spectacular, but for this one product I would shop around and see what else is out there and then select the best one. Whatever you do, I certainly think getting some kind of low EMF headphones would be a smart call. If you want to check out the listing or purchase them you can do that here. This is a really unique and interesting product. The conceal shield mixes the EMF protection of a cell phone case, the RFID of the wallet, and has the ability to completely block EMF or wireless signal if you want something like your phone completely off the grid. 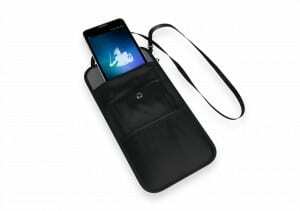 The primary pouch, they say, blocks RFID, Mobile, GPS, NFC, WiFi, Bluetooth and pretty much everything else. So you can place your phone, your credit cards, your passport, your ID, or anything else you want to keep safe inside the primary pouch. A cool feature of the ConcealShield that I personally like, is that there is an outer pocket that you can put your phone in, and you’ll still get the EMF protection you’d expect from the cell phone cases, but it can still receive a signal so you won’t miss calls or texts. First of all, yes they do work as they are intended to, but it is up to the user to operate them correctly and keep themselves safe. For the most part, all of their products use essentially the same technology. They have three layers, a conductive, a non-conductive, and an absorption/shielding material that works to block the EMF radiation as well as heat. All of the products, from what I can tell, are based on a single research report from US Tech Labs in Georgia and were signed off by an Alan Ghasiani. You can see a graphical representation of the results below. I think overall, DefenderShield has made some really quality products. In particular, I like the DefenderPad and the cell phone cases, because they both just make really good sense and are extremely simple to use. Try to turn your WiFI off when possible, and in the long term considering hooking your computers up to ethernet. I truly hope you enjoyed my DefenderShield EMF products review if you did please consider sharing! I created and currently manage EMF Academy, one of the premier sources for EMF safety knowledge. I am so passionate about spreading this crucial information. If you need anything, just shoot me an email at [email protected].com and I'll do everything I can to help.